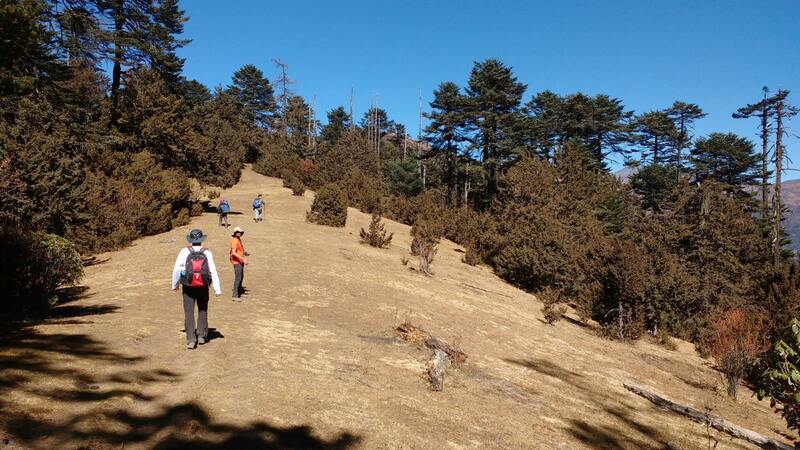 Druk Path Trek is one of the most popular treks in Bhutan. It is a short and scenic trek with some great views and beautiful lakes en route. Although it leads up to altitudes above 4,000m it is not too strenuous as walking distances between the camps are not too long. Besides the lakes, it is the Phadjoding monastery that is one of the highlights of this trek. Day 1: Arrive Paro. 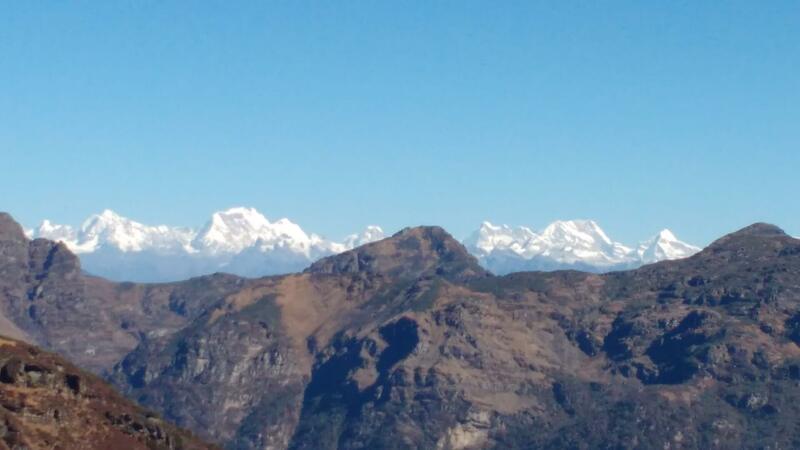 If the weather is clear you can have a glimpse of Kangchenjunga, Mt Everest and Chomolhari, Bhutan’s sacred mountain. Once you land please proceed to VISA counter to complete your formalities. Your guide will meet you outside the terminal and you will proceed to your hotel. If you have the time after tea/coffee, your guide will take you for some sightseeing. After visiting the temple hike back and lunch will be served in the restaurant. After lunch you can either visit the Paro town to explore the Bhutanese stores or relax at the hotel. Dinner and overnight at the same hotel. Day 3: Paro – Jili Dzong (Distance seven km, four to five hours, 1,090m ascent, camp altitude 3,480m). The first day is a long day, as you have to climb more than 1,000m elevation. You start from the Ta Dzong (National Museum) in Paro. The trek follows a gravel road past a few farms for about 30 minutes and then climbs up a steep ridge before leading through blue pine and fir forests to Damche Gom. Once you reach the ridge below Jili Dzong you descend about 100m to the campsite below Jili Dzong. Day 4: Jili Dzong – Jangchulakha (Distance 10 km, four to five hours, 310m ascent, 50m descent, camp altitude 3,770m). You begin with a climb for about an hour and a half and then ascend gradually up. The trail takes you through thick alpine forest and dwarf rhododendron tress. You may see yaks and yak herders around your campsite. Day 5: Jangchulakha – Jimilang Tsho (Distance 11 km, four hours, 230m descent, 330m ascent, camp altitude – 3,870m). The trail follows the ridge and on a clear day the view of the mountains and valley are beautiful. The campsite is close to the Jimilang Tsho Lake. The lake is known for its giant sized trout. Day 6: Jimilang Tsho – Simkota Tsho (Distance 11 km, four to five hours, camp altitude 4,040m). The trail traverses through dwarf Rhodedendron tress and Janetsho Lake and passes by yak herder camps. 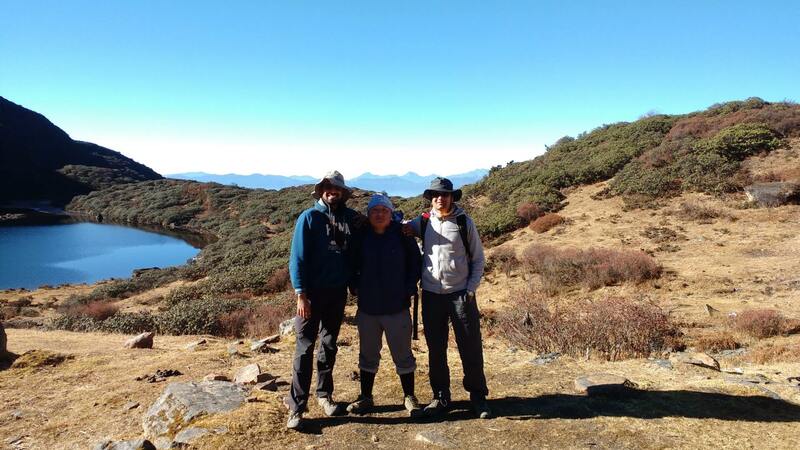 It is a short climb along the side of the ridge and then a short, steep descent to camp which is near Simkota lake famous for its trout. .
Day 6: Simkota Tsho – Phajoding – Thimphu (Distance 15 km, five to six hours, 130m ascent, 1130 m descent). 1. 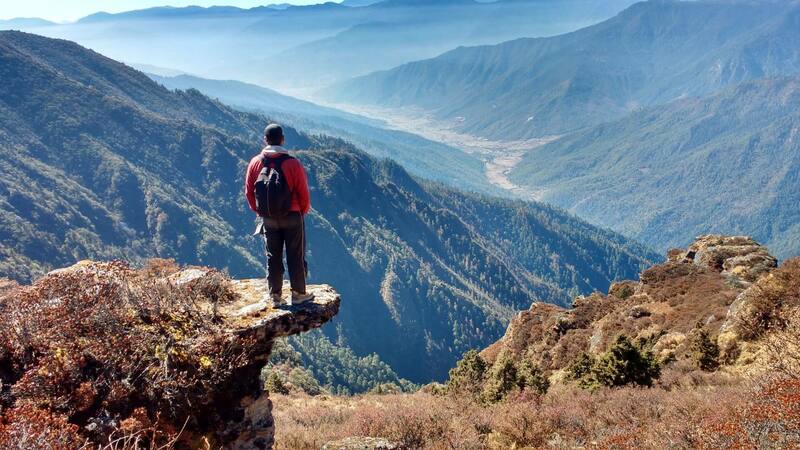 Stay: Stay at Thimphu on the last day of the trek is included in the trek fee. 2. Transport: Transport from Thimpu to Paro is arranged by us at no extra cost. Transport is arranged in Sumo kind of vehicles. A vehicle carries 5-7 people. Sometimes the number of people in a vehicle can be even 4 or 8. cost. Roads & Journeys only arranges the vehicle pick up and is not responsible for any issues during transport. 3. Pick-up: Participants are picked up from the Hotel in Thimphu. Most participants opt for the Roads & Journeys pick up and we assume the same in your case. In case you do not want the Roads & Journeys pick up you will have to make your own travel arrangements. In case you want a customized trip, a cultural tour instead of the Druk Path Trek, do write to us and we will send you an alternate itinerary. "Had the time of my life. It is kinda addictive. I have to go for one trek every year now! Go for it without a second thought. what are you waiting for?"